And...that’s it for now. The final image reveal does however give us a better look at the characters, at least—does that look like John Marston to you, or is that just me? It would align with rumors that the next Red Dead is a prequel, at least. 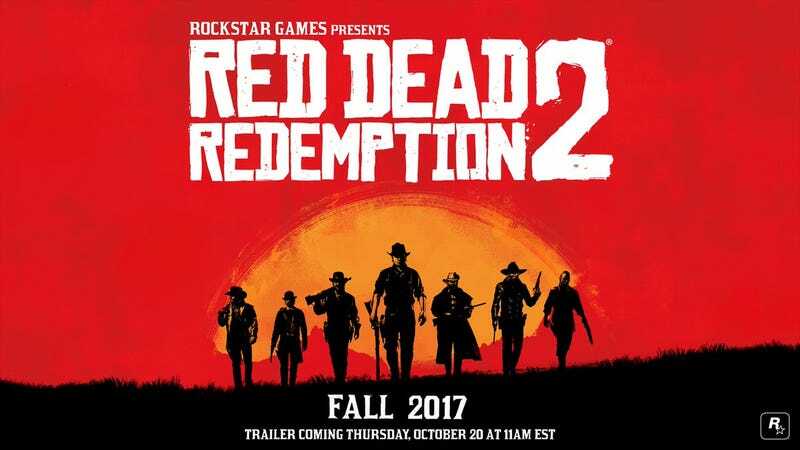 Rockstar also notes that RDR 2 will be coming to Xbox One and PS4. No word yet on a PC version, unfortunately. While it’s always possible that a PC version may happen down the line, the original Red Dead Redemption never released on that platform.